In the project "Broken Cipher" we investigate how the open-source idea can be transferred to the world of stitching -and embroidery patterns. Similar to software code such patterns are now mechanically executable instructions, which consist of a large number of individual elements that are endlessly varied and can be changed. Another parallel is that the field of stitching and embroidery patterns is also strongly based on proprietary formats and high intellectual property restrictions. 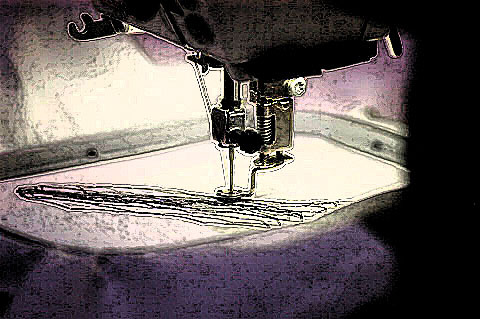 In collaboration with software developers networked embroidery machines are modified so that they can process open-source codes and patterns. The collection "Broken Cipher" consciously works with "errors" that emerge because of the incompatibilities. The aim of this project in collaboration with curator Andrea Mayr Stalder, is to establish new forms of cooperation between the code designers.